When Gloria Mokgothu’s shack in Klerksdorp Extension 12, in North West was destroyed twice by fire in 2012, she had to rebuild her home from the debris; being a home owner was only a distant dream. 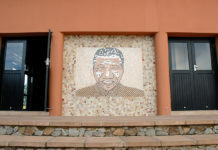 But now, thanks to Nelson Mandela International Day, which was celebrated on 18 July, Mokgothu is the proud owner of a fully furnished five-room house. It consists of two bedrooms, lounge, kitchen and a bathroom with a toilet. The house was donated by Masikhule Projects as it joined the rest of the world and heeded the call for people to recognise their individual power to make an imprint by changing the lives of ordinary people. 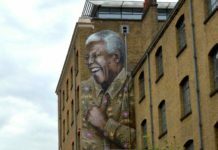 Every year on 18 July, South Africans and the international community honour the late Nelson Mandela by doing acts of kindness for others and helping the less fortunate on his birthday. 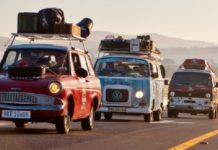 This is an annual international day of humanitarian action in celebration of Madiba’s life and legacy, and has been declared by the United Nations. 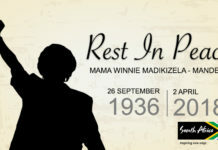 A mother of four, Mokgothu, 55, shared the shack with her ill husband, Kenneth, 54. The whole family relies on her husband’s old age grant, which is the only source of income. Receiving the house, an elated Mokgothu said her family would no longer have to run for cover during windy and rainy seasons. “I have nothing but praises for Masikhule Projects for what they have done for me and my family and I wish them success in their business venture,” she said. Masikhule Projects chief operating officer Major Nguphane encouraged other business people to invest in changing lives in their communities. 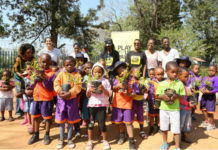 “If each one of us can help at least one person or one family, we can definitely make a huge difference in improving the quality of life of our people,” Nguphane said. 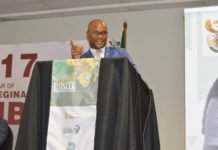 North West local government and human settlements MEC Collen Maine, who witnessed the house being handed over, appealed to other business people to work with the government to change the lives of people in disadvantaged communities. “Government alone cannot reach out to each and every citizen. Those who are more fortunate must appreciate what they already have and plough back to their communities,” Maine said. Meanwhile, other several housing developers pledged to donate 29 houses to needy and destitute families throughout the province, as part of commemorating Nelson Mandela International Day. Speaking to some of the families in Taung on Friday, Maine said the department had, through ward councillors, identified families living in awful conditions, especially where there were elderly and disabled people.